A U.S. Marine who was brought before a court-martial and then convicted of refusing to take down a Bible verse displayed on her computer screen has filed an appeal with the U.S. Court of Appeals for the Armed Forces, Fox News reports. Lance Cpl. 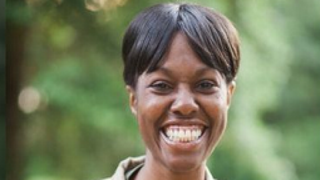 Monifa Sterling was convicted in 2014 at Camp Lejune in North Carolina of disobeying an order from a superior that she take down this verse from the Old Testament: "No weapon formed against me shall prosper." Her superior and the military argued that the content "could easily be seen as contrary to good order and discipline," Fox News reports. Sterling was found guilty of disobeying orders and being disrespectful. She was discharged and given a lower rank, going from lance corporal to private. She unsuccessfully appealed to a lower appellate court and is now taking her case to a higher appeals court that presides over the armed forces. Sterling's lawyer, Michael Berry, with the Liberty Institute, argued that the possible repercussions of military censorship of religious forms of expressions can be major. He also said that it is an infringement of one's constitutional rights. "If the government can order a Marine not to display a Bible verse, they could try and order her not to get a religious tattoo, or go to church on Sunday," Berry said. "Restricting a Marine's free exercise of religion is blatantly unconstitutional." Sterling's legal team will argue that her right to display the Bible verse is protected by the Religious Freedom Restoration Act, since it is a form of religious exercise. Both lower courts that convicted Sterling, and then threw out her appeal, have ruled that the act does not apply in this case, finding that displaying a Bible verse on a computer is not truly a religious exercise.